I'm a fan of Antic pubs. The Royal Albert was my stalwart local during my four years in New Cross, and I could while away hours in there with friends, sipping on pints and playing Shithead. I frequent the East Dulwich Tavern often, and I've thrown myself around the dance floor at The Effra Social several times. I've also had quiet pints in the sunshine out the front, as traffic roars past the busy road. The less said about The Job Centre in Deptford, the better though. That one is a bit weird. 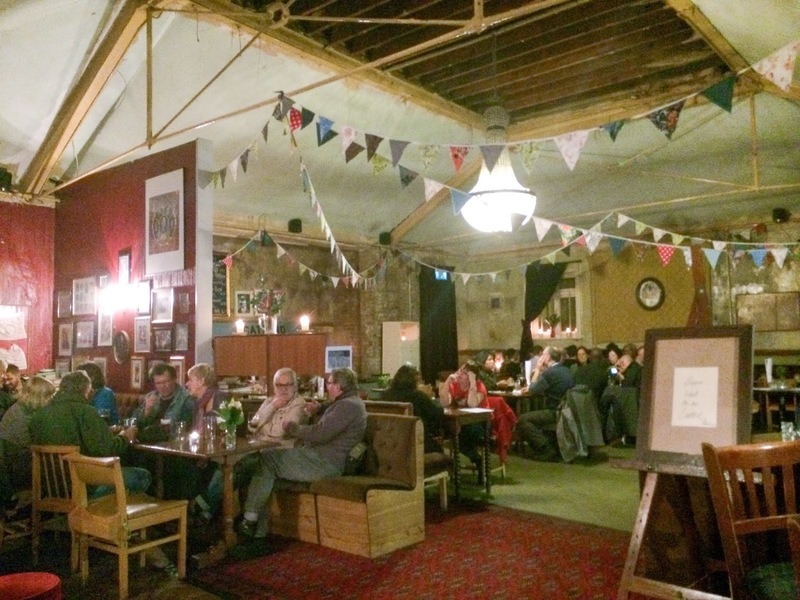 I recently went to the Catford Constitutional Club, and if you've been to The Effra Social you'll be familiar with the style. Old-style bunting, mismatched old chairs and sofas have been carefully curated to give the place a feeling of comfort, like you're at your batty old aunt's place. I don't know if you've ever been to Catford, but it's not that easy to find a good pub that sells beer in clean glasses and might actually feed you too. 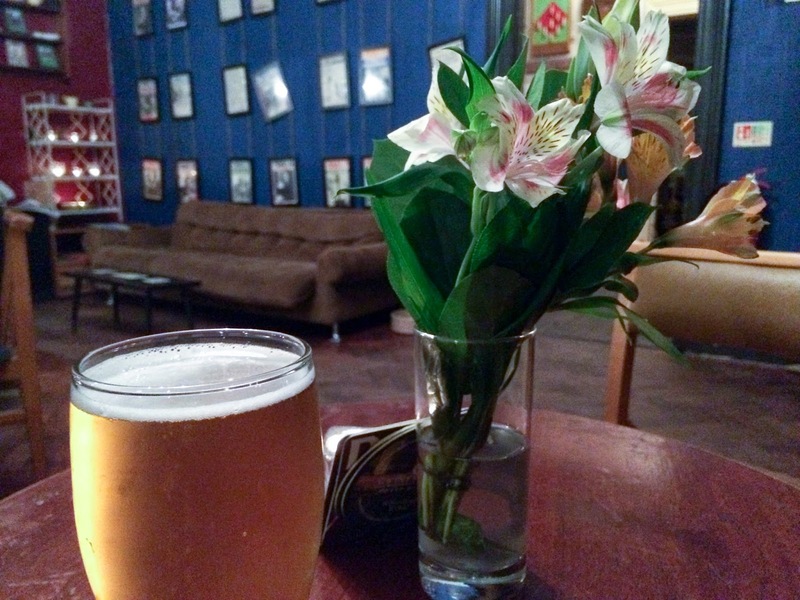 The place was pleasantly busy, the clientele mixed, with mainly older couples and friends. They do a big range of bottled craft-y beers if that's your thing, but also the standard lagers and some interesting ales. The food was pretty good, too. We waited a while for it, and when it came it all came at once but the deep-fried calamari were crisp and hot, perfect snacking food with an appropriately garlicky mayo. My own pork chop was served with wholegrain mustard mash and a baked half apple, and the crisp sage leaves added another dimension. The pork chop was obviously of good source - you can tell by the delicious, creamy fat, and a little less time in the pan would have made for a more tender chop. 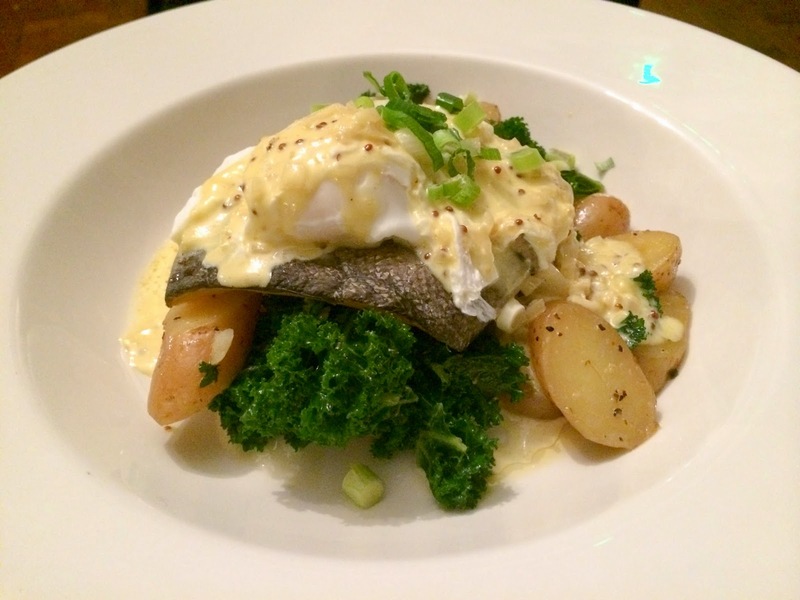 My friend's smoked haddock with kale, a poached egg and a hollandaise-like sauce didn't skimp on the new potatoes and I assume it was good, as it was finished off in no time. They do that annoying thing where they charge around £2.50 for sides, which always makes me feel like I have an incomplete meal when I don't bother with them but we were happily full without them, if a bit vegetable-deficient. I imagine it's a welcome addition to the residents of Catford and the surrounds; we had a thoroughly enjoyable evening there. 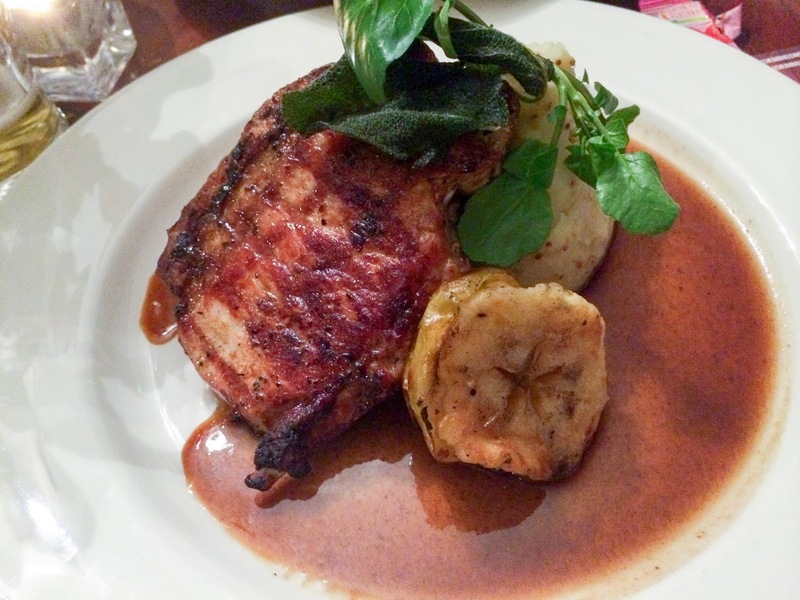 On the whole, the food has been consistently good in every Antic pub I've eaten in. The only thing wrong with the Job Centre is that it still doesn't have a fecking kitchen! This looks delicious :) I love your blog and I have followed you with Bloglovin. If you ever get a chance to check out my blog I would be delighted, thanks! I've been in The Job Centre a few times now and I've felt like it's improving each time. It's such a large space and I didn't think they knew exactly what to do with it. It's got the potential to be great and I hope it reaches it. I echo your thoughts about the Royal Albert too. My favourite pub in the area. I do hope they manage to maintain the atmosphere after the extension work is done - they're knocking through to the building next door. Deptford Dame - yes, I agree - I've had some good snacks in the Albert. Patrick - Yes, I guess I found the name a bit crass and especially when I was charged more than Soho prices for a pint! The Albert is the best though - interesting about them knocking through - it does get very busy, so I imagine more space can only be better.